While Radio City Music Hall is known for its larger-than-life performances and premieres, it's the venue's landmark interior that makes it awe-inspiring no matter the event. Among the artists who helped define the Art Deco venue was Marguerita Mergentime, whose textiles added a little magic to the show-going experience. And now, with books, museum shows and lines of home accessories honoring her work, she's finally gaining overdue recognition for her innovations in American design. Donald Deskey, the primary designer of Radio City, enlisted a number of other established talents in the early 1930s to decorate the theater. Mergentime was one of them. For a section of the venue's carpeting, she overlaid line drawings of dancers, musicians and circus performers against an abstract background of blues and golds in geometrical forms that echo harlequin patterns, but with a jazzy, syncopated interpretation. She also designed a fabric with oversized flowers called "Lilies in the Air," to adorn the women's powder room. Meanwhile, Mergentime was bringing bold design to the home with fresh, imaginative textiles. As seen in the Cooper Hewitt show Tablescapes: Designs for Dining, she playfully incorporated American motifs and text into table linens and ceramics to set the stage for exuberant dinner parties. 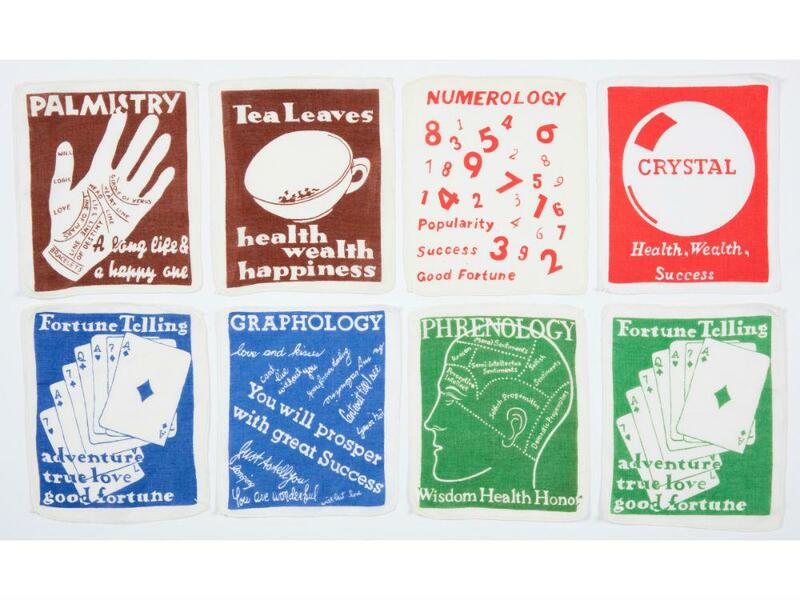 One cloth napkin set had a "fortune telling" theme, merging visuals like tea leaves, palmistry and numerology with clever typography, to make happy predictions for guests. Other textiles would prompt conversation about American history or food trivia, while some spoke for themselves without text, such as a botanical print inviting the viewer to identify the leaves of trees. Mergentime's designs for the table have been revived into a line sold at MoMA and Cooper Hewitt, and her granddaughter, Virgina Bayer, has also helped rediscover her work, contributing to the book Marguerita Mergentime: American Textiles, Modern Ideas. Read more about Mergentime in this interview with Bayer, and catch the final weeks of the Tablescapes show, which runs at Cooper Hewitt through April 14.